Were these mods enough to make Farah love the M4? Matt Farah's reviews are so interesting because he doesn't just drive cars as they come from the factory. Farah likes to meet up with owners who have performed the modifications that car enthusiasts are likely to do on their own cars. He has driven a modified M4 before, but this is the most highly modified example that he has tested thus far. 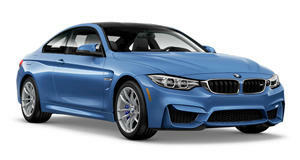 So, can this M4 make Farah finally love it? The car was tuned by European Auto Source in California and now produces 600 whp. The turbos have been upgraded with ESS units and much more. You can check out the car's build sheet on , but some key highlights include an Akrapovic exhaust and Sparco carbon fiber seats. Farah said that he has yet to hear an M4 , and the Akrapovic unit combined with bigger turbos was not bad. Farah also noted that the Sparco seats are some of the best he has ever been in. We think that the exhaust sounded OK, though M4 GTS. We have also heard a few notes as well as a few . Farah noted that the throttle is like an on-off switch in Sport Plus Mode and the car can easily break traction at high speed. This build shows how crazy an M4 can be, but the modifications to this car probably add up to make it rather unaffordable.